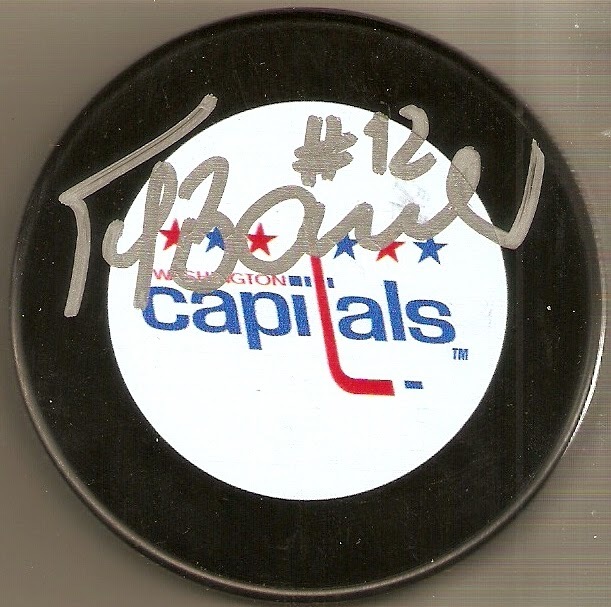 I recently had the opportunity to get some signatures from a player I've always liked, and felt never really got his due, Peter Bondra, when a fellow SportsCollectors.Net user was taking orders for a public signing in his area. The price was pretty good, and got my hands on a puck and an 8x10 photo. I always liked Bondra's ability to score goals, despite being on some very average Capitals teams. Maybe that's the reason his name doesn't really get thrown around as one of the best in his era, but his career goal total of 503 is astounding. He doesn't do a whole lot of public signings, though, so once I had the opportunity to get his autograph, I just had to take advantage of that, and now have two great items to add to my collection.